Among other skills, Roy Mancini excelled in sailboat racing. 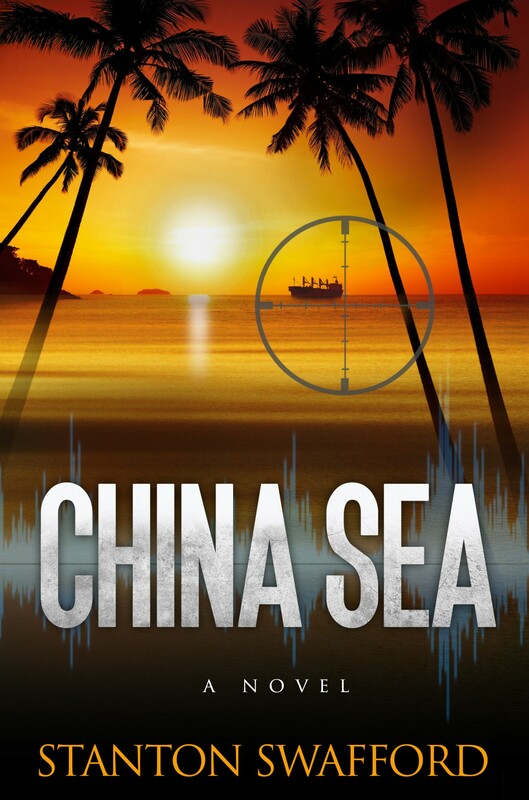 Here is how he describes it in the novel CHINA SEA. The following week I paid a visit to the Manila Yacht Club in search of a crewing position on a racing sailboat. During my high school and college years I had raced sailboats, and I’d won gold medals at regattas up and down the California coast. And I’d skippered the University of Hawaii sailing team for three years. So when I walked into the yacht club it was with a high degree of confidence that I could offer my sailing prowess to a club member in need of crew. And a little later in the story, this is how he deals with an antagonist. We were now at a risky point of sail in a heavy wind. The boom and mainsail were standing straight out on the port side, perpendicular to the boat so that the strong wind behind us was pushing the Dragon forward. The risk would occur if the wind shifted, even slightly, and crept forward of the mainsail. In that case, if the helmsman didn’t adjust his course in time, the sail and boom would violently and without warning thrust across to the opposite side of the boat. And if a crew member happened to be standing in the way of this violence, he would end up with a terrible headache at best, or a brain concussion at worst, when the flying boom cracked him in the head. And that was precisely my plan from the time we left the bar over an hour earlier. I pushed the tiller ever so slightly so that the wind crept just forward of the mainsail and forced the “accidental” jibe. As expected, the mainsail and the boom crashed across the cockpit at full force to the starboard side of the boat. The wooden boom smacked Roland in the head and knocked him overboard. I threw him a life vest and shouted “man overboard”. I am circling the bait. Looking forward to getting the book in your hands in July Biff.